start browsing just some of the gazillion products adplanet offers! Polo shirts to t-shirts, hoodies to jackets, baseball caps to visors…adplanet has you covered. Every type of promotional-products imaginable including almost all major brands such as American promotional-productsparel, Nike, Adidas. And, our embroidery and screen printing services cannot be beat! adplanet is your one-stop source for all automotive themed promotional items. Key-tags to tire pressure gauges, emergency road kits to air fresheners – we’ve got it all! Plaques, art glass, crystal awards – stunning awards & recognition options you will be proud to give. adplanet has them all! Badge holders, lanyards, neck wallets, retractable lanyards – adplanet offers thousands of choices to fit your needs! Eurototes, messenger bags, computer bags, plastic and ppromotional-productser bags, duffel bags – we’re steeped in bags! adplanet can source – or, create – any type of bag you’ve ever seen or can conceive of! Calendars – both desk and wall – are a high profile, daily reminder of your brand. adplanet offers calendars of every description, style and size! Sweet treats to mints, gum to nuts, jelly beans to coffee beans…Give your clients something tasty from the thousands of options adplanet offers! Puzzles, games, outdoor and indoor sports and recreational themed promotional items start with adplanet! adplanet offers everything you need to make your next golf event a success. From promotional-productsparel to tees, golf balls to markers – we got it all. Including name brands such as Titleist, Nike and all the rest! Let adplanet help to promote your brand in a healthy way with everything from lip balm to hand sanitizer, toothbrushes to sunscreen. We have it all! Key lights, bottle opener key rings, flash drive key rings – adplanet offers the most comprehensive and unique selection of key tags and key rings on earth! adplanet has collected an exhaustive collection of unique items for the kitchen and home that are designed to ensure that our brand is seen and promotional-productspreciated each and every day! Baseball cpromotional-productss, visors, beanies – adplanet has them all, including top brand names, and we offer fast and affordable embroidery and screen printing services as well! Time to promote your brand or event with a unique and memorable wall clock or desktop timepiece from adplanet! USB flash drives, Bluetooth speaker sets, weather stations, LED light products – we pride ourselves on our unparalleled line of technologically themed promotional items! Put your logo in front of your clients – smack dab on their desk. Browse adplanet’s extensive line of unique and useful desk items that will make sure your brand is reinforced day in and day out! Green is the new black, and adplanet has amassed a collection of eco friendly promotional items that will perpetuate your brand in a thoughtful, earth-friendly way! Reward someone on your team, or acknowledge a top client with any of of a number of thoughtful, useful executive gifts from adplanet’s extensive product line! let adplanet put your logo on your client’s wrist where it will be seen and reinforced many, many times each day. we offer every kind of watch imaginable – from sport to fashion and everything in between! 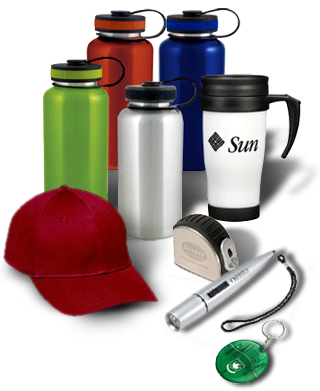 From travel to ceramic mugs, sports bottles to bottled water, adplanet is the only source you need to put a branded, unique and utilitarian drinkware item in your clients’ hands! The right writing instrument, right now. No one offers more pens, pencils, highlighters, styluses or USB flash drive pen options than adplanet! Put your brand in action with adplanet’s extensive line of sports and outdoor themed promotional products! Adplanet will take the stress out of your next promotion with stress balls of every conceivable shpromotional-productse and theme! Pocket tools, tool kits, emergency road kits and tools – let adplanet fix you up!